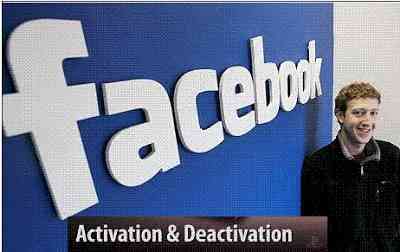 Sometimes users deactivate his facebook account due to personal issues. They can again activate his account by following the simple steps. Actually, every people want to update with social media. They cannot avoid using facebook. If any circumstances create, they disappear from media. If you deactivate your account, you do not register for a new one. I am giving tips to activate the old account instantly. Now go with your browser and type www.facebook.com and open the page. Now given your e-mail Id, phone number, and password. This information should be that you were used to log-in to your account. You will have to remember these tolls. It is very important to use the password. The password should be the same as you used during account deactivation. When you share this information with Facebook, the team will send a code on your e-mail id and phone number. Now put the given code in the specified box and chose the new password. Again go with log-in button and click to open the page. Your deactivated facebook page will be opened. You will get all your details like old chat, photo, video and audio files. Comments and likes will be also reflected there. Now update your number on facebook account. It is important to get the notification on the account. To submit your phone number on site, you will have to open the setting option. You will get the mobile option on the left side of the facebook page. Now click on it and get the new page with mobile setting quotes. Your old mobile number will be there. Now click on + Add another mobile phone number option and write your new number. All function has been completed to activate your deactivated facebook account. Use and enjoy facebook page.